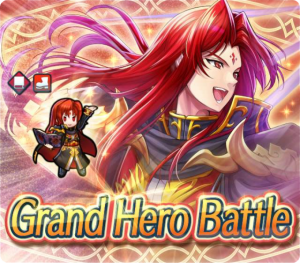 Heroes: Grand Hero Battle: Julius! 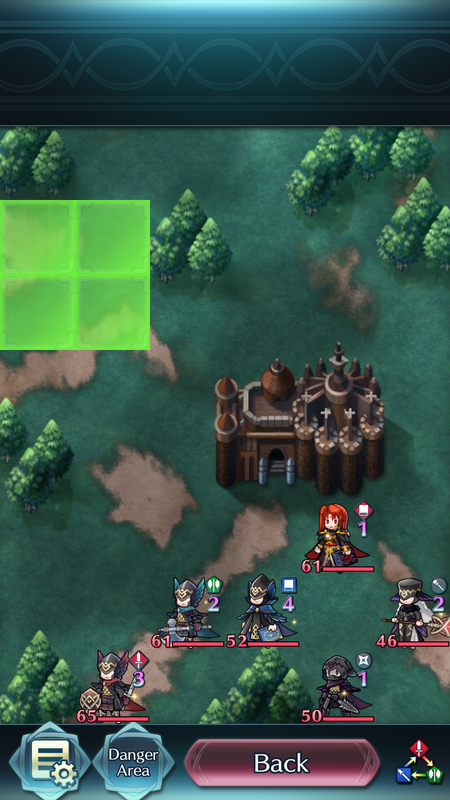 Love for Genealogy of the Holy War continues to pour in in Fire Emblem Heroes! Prepare your strongest team to tackle Grand Hero Battle: Julius, now available in the Special Maps menu. Julius is a particularly devious boss. His unique tome, Loptous, requires you to attack him “effective against dragons” weaponry, otherwise you pay a harsh -Atk penalty. Complete all three maps to earn three copies of Julius, one 3★ and two 4★, as well as 2,000 Hero Feathers. You can see his Infernal difficulty stats and skills, as well as the Infernal map layout, below. Grand Hero Battle: Julius will be available for a little over a week, ending on 23 May. Additionally, Heroes has shared an updated event calendar for May and June. The banner starting on 27 May should have been titled “Heroes with Stance Skills”. The original article detailed the event calendar is now updated to reflect this change. I guess it’s Lucina’s turn. I haven’t used her since T&N Bound Battle, and just look at that Res. He’s on par with my +res Micaiah! By the way, aren’t those generics based on the Deadlords? Well… I used Arvis and Ishtar on this map. 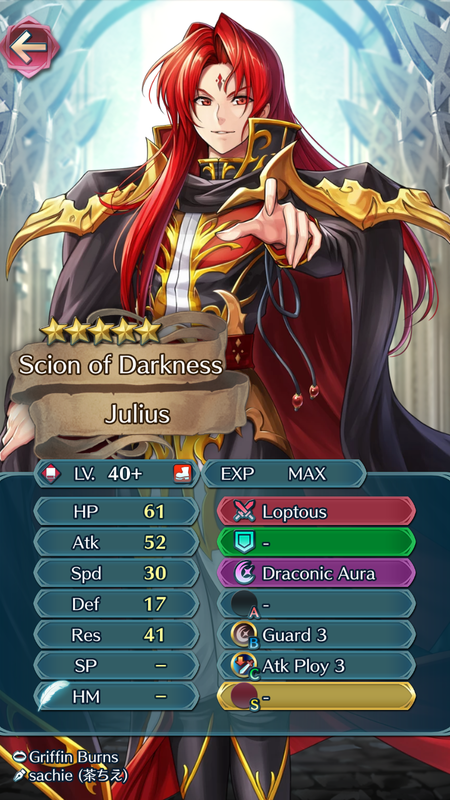 Uhm, sorry, Julius? Julius had no chance against Fjorm. The problem for Julius was the cleric attacked first, reducing Fjorm’s Glacies cooldown, and the special was triggered against Julius, killing the Grannvale Empire’s prince. The others units was defeated thanks to a combined effort of all the others units. I thought this would be hard, but nope. I had more problems with Kana’s GHB than Julius’ GHB. I only won Infernal Kana because I got L’ Lyn and L’ Robin in the Legendary Banner, and both was essencial for my victory. +Atk Gordin ftw…I just Brave Bow cheesed my way through. If you don’t have someone like this, I highly recommend you get one, they are invaluable for these kinds of challenges when teamed with WoM dancers with spur, hone, and drive atk. Did after the 2nd try. Oh boy, finally one I can’t just throw Armor Grima at as my free win condition. Wonder how my Alt account will fare…as for the Main, Roy should be able to tank a hit and then just kill the fool. Haven’t tried it on Infernal yet but Lunatic wasn’t too bad. Used my main team with Tharja, Brave Lyn, Fjorm, and Inigo. I have a feeling they won’t be able to take on Infernal though. Perhaps my armor emblem team can handle it. Infernal turned out to be much easier than I expected simply with Reinhardt, PA Olivia, PA Azura, and Sakura. All I ready had to do was pass Savage Blow 3 onto Reinhardt and give him Quickened Pulse so he could unleash Blazing Thunder more often, though I had to be wary of Julius and the daggers since they were actually capable of killing Reinhardt if I made a wrong move. I’m really tempted to give him my Summoner Support since he’s the first unit to actually serve me consistently well for over a year. It’s nice that they added Julius, but I wish his voice was more…um…demonic? You know, since he wields his Loptous tome?